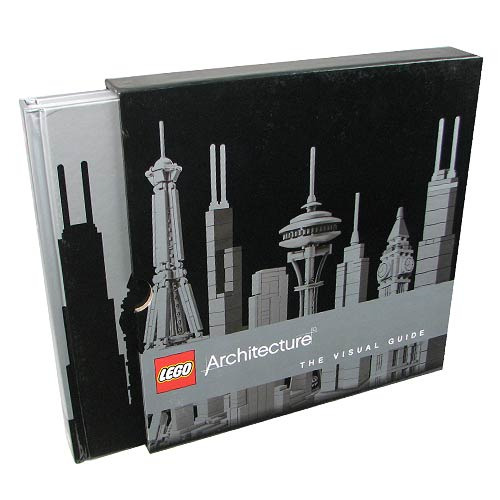 Explore LEGO Architecture! The LEGO Architecture: The Visual Guide Hardcover Book takes a deep look at the artists, builders, and inspiration behind the LEGO Architecture series. Beautifully illustrated and annotated, this visual guide allows you to explore the LEGO team's creative process in building and understand how LEGO artists translated such iconic buildings into these buildable LEGO sets. Learn why the LEGO team chose certain pieces and what particular challenges they faced. Read about the inspiration behind the creative processes and what designing and building techniques were used on various sets in the 232 page book.